This might be an ‘old school’ type of picture but it contains a representation of what you should know at your level for medical school. The anterior cerebral artery divided into three parts A1,A2,A3. The anterior cerebral artery arises just lateral to the optic chiasm and travels rostrally through the anterior hemispheric fissure. It supplies blood to the medial aspect of the cerebral hemispheres. It supplies blood to the medial aspect of the pre-central and post-central gyrus. Because the medial aspect of the gyrus represents the ‘leg’ any vascular injury can cause sensory and motor insult to the contralateral leg. Importantly there is a close relationship with the anterior communicating artery and the optic nerve. A.Comm Aneurysms can be associated with the optic nerve palsy. As the Anterior Cerebral Artery travels in the anterior interhemispheric fissure any aneurysmal rupture will present as blood in the anterior hemispheric fissure on CT.
Recurrent Artery of Heubner and Lenticulo-striate arteries supply the basal ganglia, thalamus and internal capsule. These perforating branches are subject to microaneurysmal formation (Charcot-Bouchard aneurysms) that are often ruptured in patients with hypertensive haemorrhages. 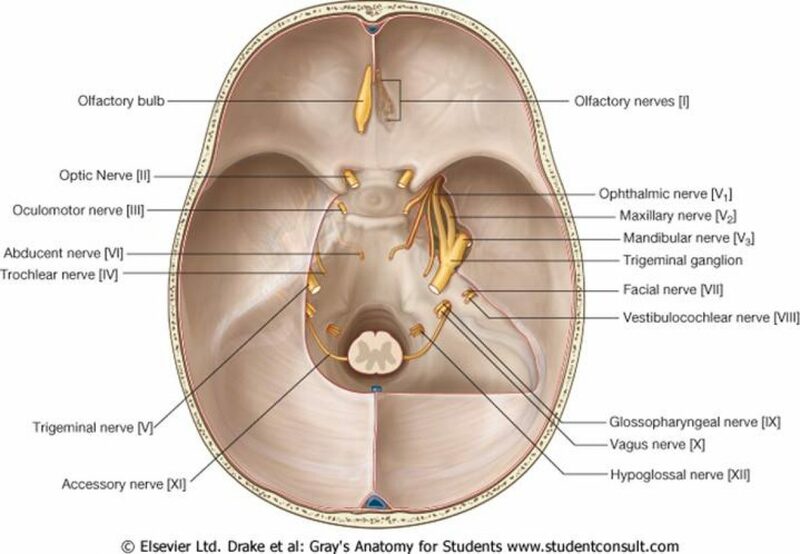 As you can see the Sylvian fissure has been retracted and the superior and inferior temporal gyri removed. The Limen of the Insula is of clinical relevance as this is where the M2 segment runs. Make note of the Operculum areas of the brain cortex lying superfical to the insula. M1 Branch: From the origin to the bifurcation of the MCA within the Limen Insula. This segment gives rise to the lenticulo-striate arteries that perforate the basal ganglia. The majority of MCA Aneurysms occurr at the bifurcation the M2 segments. The MCA supplies the lateral convexity of the brain (including parietal, temporal and part of the occipital lobe).Therefore any ischaemia to this area will affect blood flow to the lateral convexity of the homonculus affecting motor and sensory input to the arm. The key important aspect of this is the relationship of the 3rd nerve and the artery. You will also notice the relationship between the basilar artery and the superior cerebellar artery. All 3 aneurysms can cause a 3rd nerve palsy! Cerebellum and Medulla. Note the PICA supplies the lateral medulla. This has clinical relevance in the Wallenberg’s syndrome. This will be covered in more detail under Cranial Nerve 5. Supplying the vasculature to the spine a branch directly of the vertebral artery.